MRE Star Beef Stew has been one of the more popular meals. This is a flavorful entrée made up of succulent pieces of beef coupled with vegetables. Whether you will be hiking, camping, cooking beef stew in your home, or putting together a survival kit, these MRE's are a must have item. This MRE meal is packaged in an 8 oz pouch that can give 2.5 servings. It is compact, lasts a long time and is optimized for energy generation and nutrition. 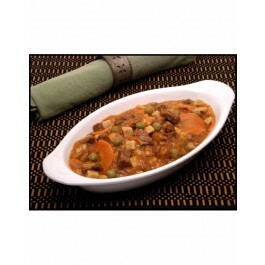 It is convenient for enjoying easy beef stew since the pouch is not only the serving dish, but the cookware as well. You can also use it as part of your ingredients for a beef stew recipe. This makes the base for a great beef stew recipe easy to make without losing out on nutrition. Since none of the nutrients, minerals and vitamins has been lost in these MREs. 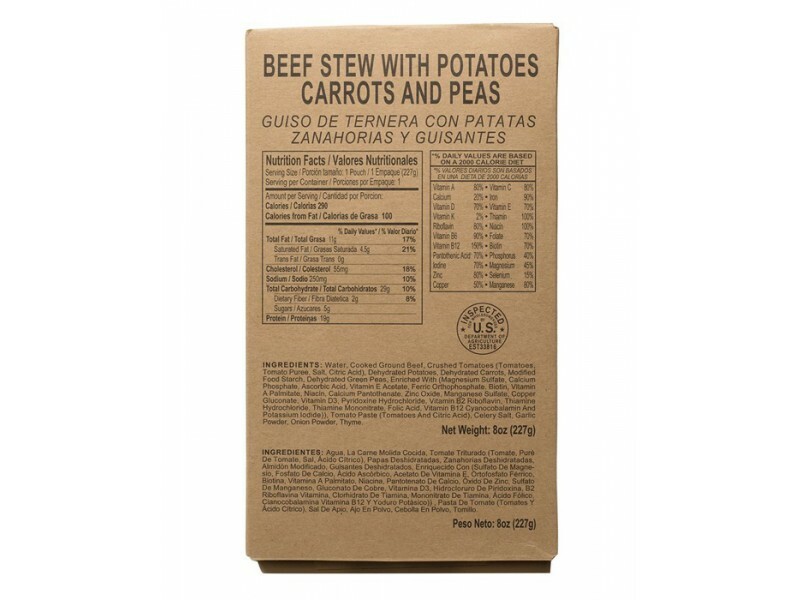 The MRE contains potatoes, peas, carrots, cooked beef, oil, spices, garlic powder, onions, sugar and soy protein among others. Allergens include soy and wheat. You can be sure that the MRE stew will be filling, hearty and nutritious all of that goodness packed in a compact 8 oz packet. This MRE entree is manufactured to military specifications. 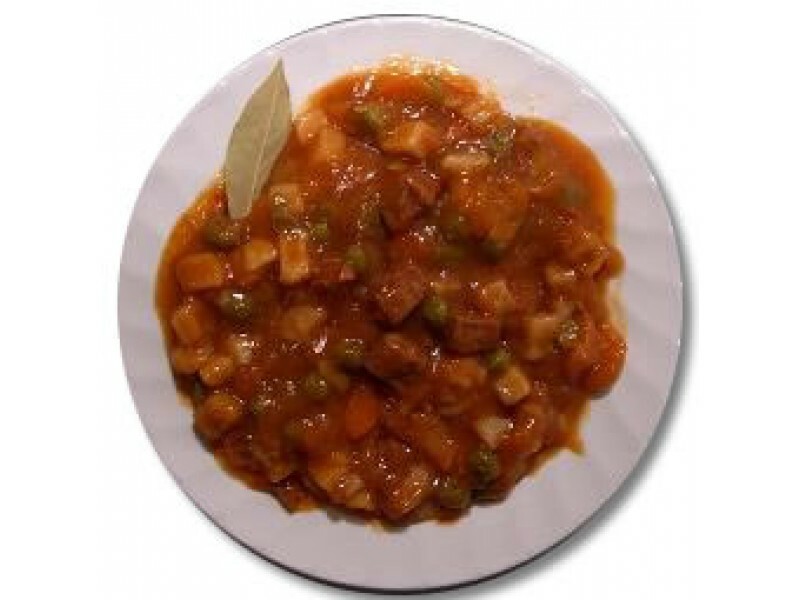 MRE Beef Stew entree is fully cooked and ready to eat, cold or heated. 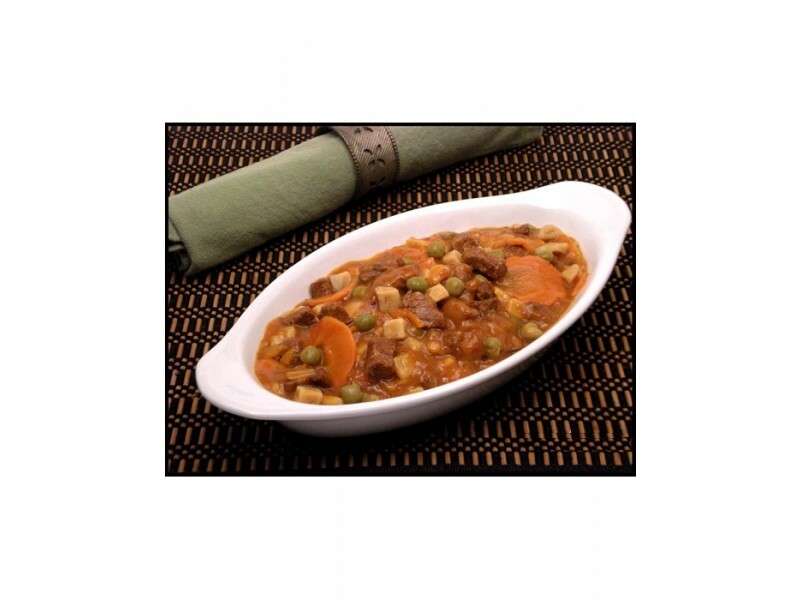 • Just heat to enjoy the best beef stew by STAR MREs.